Contrary to what some on the left and many on the right often argue, Russia is not an ally of the United States and Vladimir Putin is not a friend. Rather, Russia is an incredibly strong nation that is seeking to acquire more power and more territory by way of force, and they don’t intend on letting anything – including the United States – stand in their way. As such, Russia should be treated as an enemy, not as an ally like so many Republicans today insist upon. The sooner our country comes to terms with the fact that Vladimir Putin would stab us in the back if he was ever given the opportunity, the better. 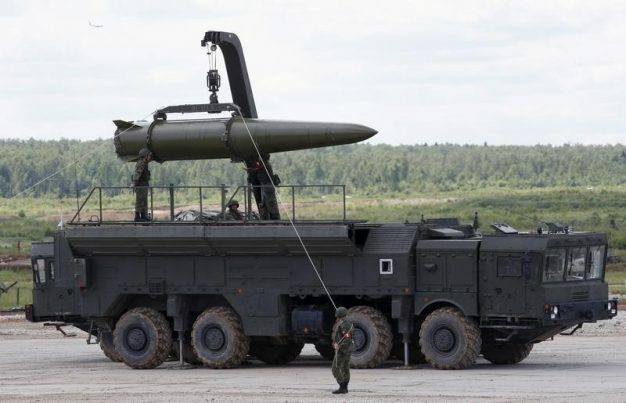 But until this world without the excessive usage of highly enriched uranium is created, the United States must accept the fact that Russia is armed and dangerous. The absolute worst thing America could do right now in terms of foreign policy and national defense is the very thing that Barack Obama pushed for throughout his entire time in office – that is, the process of reducing America’s nuclear stockpile. We must be prepared for the worst, especially as Russia continues to make threats against our country. Just a few days ago, for example, Russia threatened direct confrontation with U.S. forces in Syria in areas that are currently occupied by American units if its troops came under fire. The warning comes as tensions between the U.S. and its allies and Russia and its allies continue to escalate in the Syrian Desert. Of course, this warning is much less significant than it would have been had Russia threatened to launch a nuclear missile at the United States, but even so, it is a sign of rising tension that will inevitably get worse before it gets better. In the meantime, America must remain vigilant and prepared to defend itself should it become necessary.